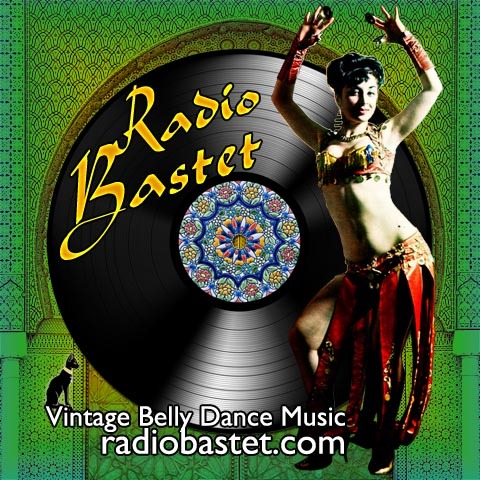 Radio Bastet - Vintage Belly Dance Music : Welcome to the podcast! Howdy, everyone! I just wanted to take a moment to welcome you to the Radio Bastet podcast. It's been a long time coming, and I'm so thankful that I finally got off my duff and made it happen. I really hope that this format proves to be more useful and enjoyable to you all than the traditional streaming audio days of yore (of course, you can still stream the program; just left-click the download link and the show will play, usually via QuickTime, without actually being downloaded to your computer or mobile device). I will probably be posting new shows every other Friday or so. I'm thinking one new show and one archive. If you have other suggestions, please let me know! I also wanted to let you all know (or remind those of you who already know) that Radio Bastet now has a CafePress store, full of goodies for you to buy that will help support the site and show off your impeccable musical taste! Thanks so much for your support! Anyway, please enjoy, and shimmy on, won't you?